Oil on canvas. Signed lower left. Paul Black, American. (1957 - 2014). Paul Black has been painting the Maine landscape for more than 25 years. Initially focusing on scenes derived from many summer visits to Acadia National Park, Paul has produced numerous scenes that are evocative of Claude Monet's work in Giverny. The influence of French Impressionism can be seen in both subject matter and technique. Combining analysis and interpretation of what is visible in nature with the study of the history of landscape painting, a personal style has evolved. Paul Black has painted in France and California as well as on Cape Cod. 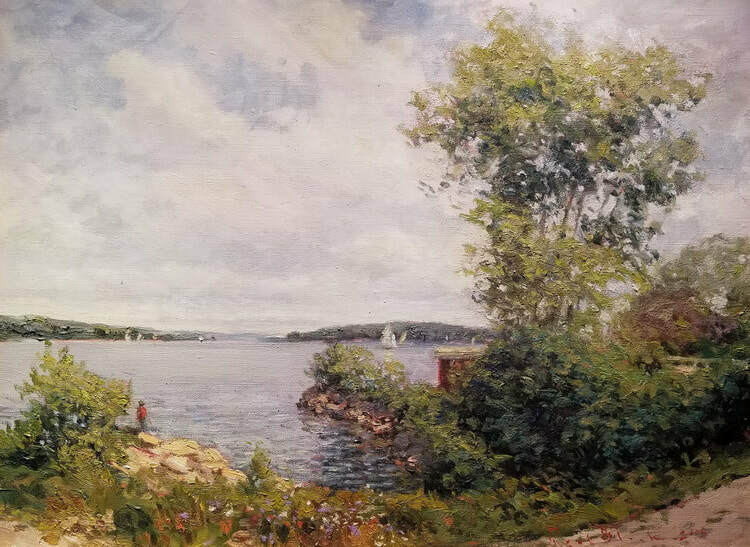 His impressionistic works are included in many private collections throughout the Northeast. This lovely scene reflects the softness of a spring day both in color and feel.